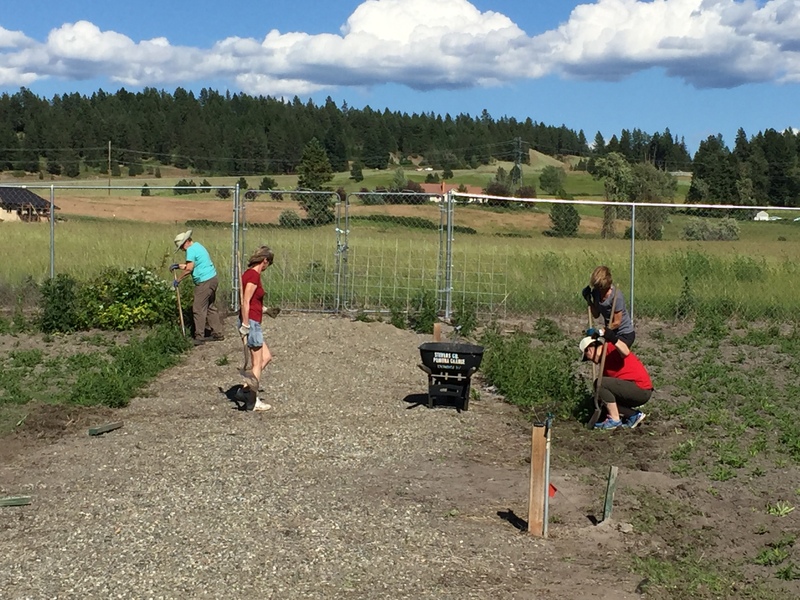 Several community organizations led by the WSU Stevens County Master Gardeners volunteered together to build a Firewise Demonstration Garden in the back plots of the Colville Community Garden off the Rotary Trail. 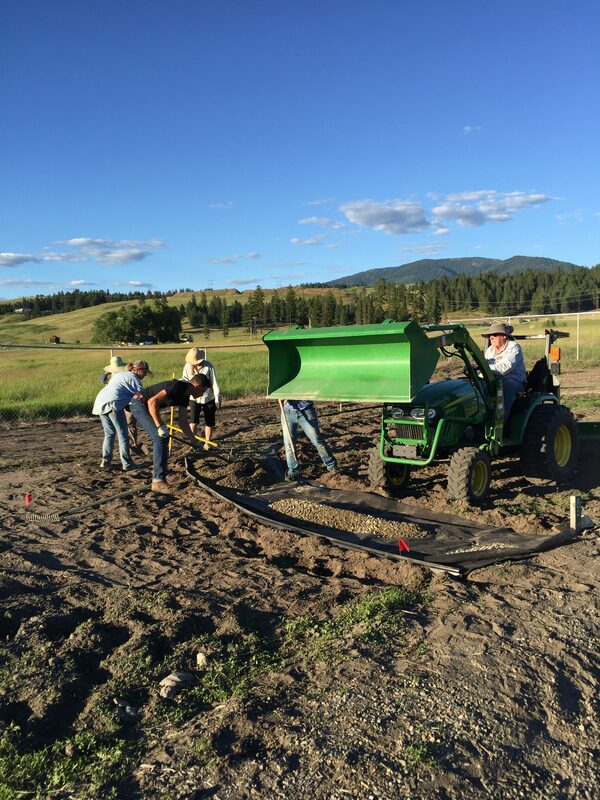 The demonstration garden was made possible by a cost match grant from the Stevens County Conservation District and a second cost match grant from the Department of Natural Resources. The Firewise Demonstration Gardens’ purpose is to be a landscaping resource for people who live in a fire prone region. Home ignition zones are discussed along with choosing Firewise plants and one section is dedicated to landscaping no-no’s, or Fire-unwise choices. Studies have shown that smart landscaping can save homes that encounter wildfire scenarios. The demonstration garden has plants labeled with QR codes as well so visitors can learn the name of the plant, its’ requirements, where you can purchase it locally, if it is deer resistant and much more. The garden is in the fledgling state but over the years we hope to see it evolve into a thriving educational site. We received massive community support for this project. Matchwise we had nearly $8,000 earned in volunteer hours. 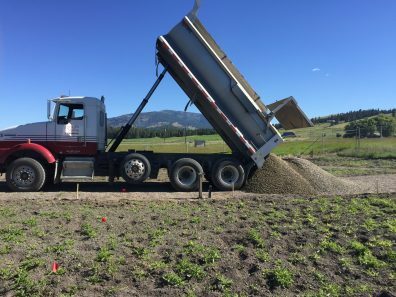 Add the numerous community donations which included plants, tractor time, landscape consulting from Wynne Street Nursery, gravel, rock and delivery from Colville Valley Concrete, tractor usage, truck hauling, lastly the two grants and the total investment is nearly $19,000 in this project. Without community support and the numerous donations we received this Firewise Demonstration Garden would never have happened. The WSU Master Gardeners and I, the project coordinator and extension coordinator, are very proud to have helped implement this valuable teaching tool and look forward to building and expanding it in the future. 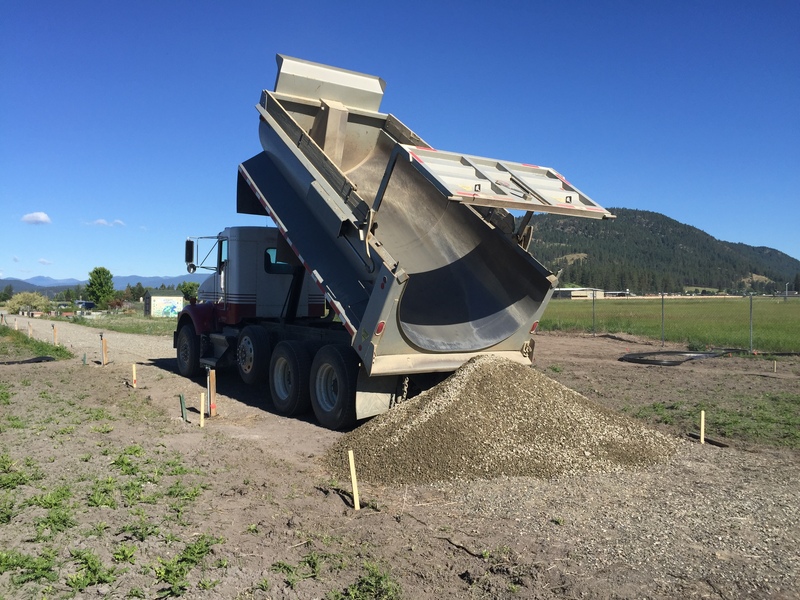 Please read our handout concerning the Firewise Demonstration garden project. Weeding and weeding and more weeding in 90 degree temperature. These volunteers are amazing. Load 1 from Colville Valley Concrete. Load 2 from the wonderful Colville Valley Concrete- both loads were donated by CVC!! After a hard day of weeding in 90 degree weather we have two pathways prepped and the landscape significantly weeded.